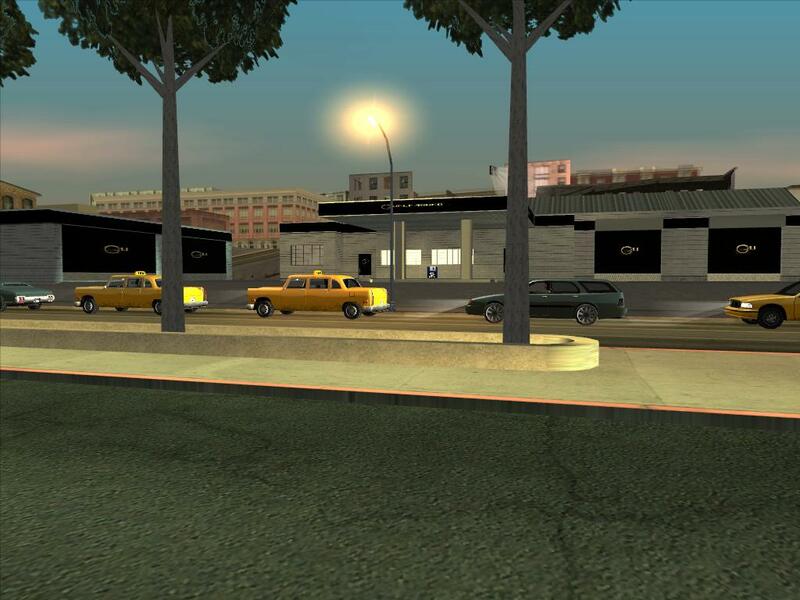 This page will hold many downloads for GTA San Andreas. Many of them will be user submitted mods. This page will be updated as frequently as possible. If you have a mod that you would like to be posted, MAKE SURE IT IS YOURS, and send a .zip file with the mod, a readme that says where it goes, and the description, and a screenshot of the mod, to dan145 [at] gmail [dot] com. 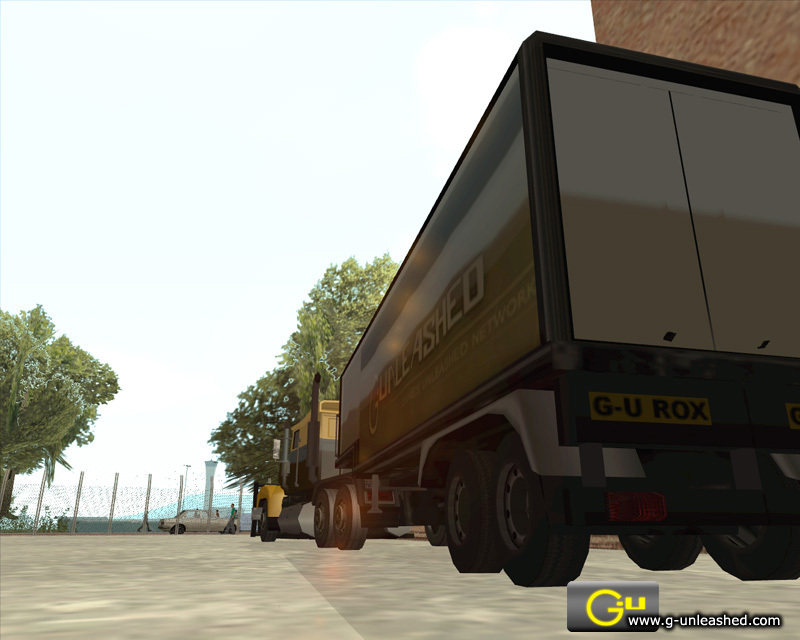 This mod will change all the regular trailers(the large ones, not the open and the small ones) to trailers with a big G-Unleashed.com logo on the side, and will change "long vehicle" to "G-U ROX". 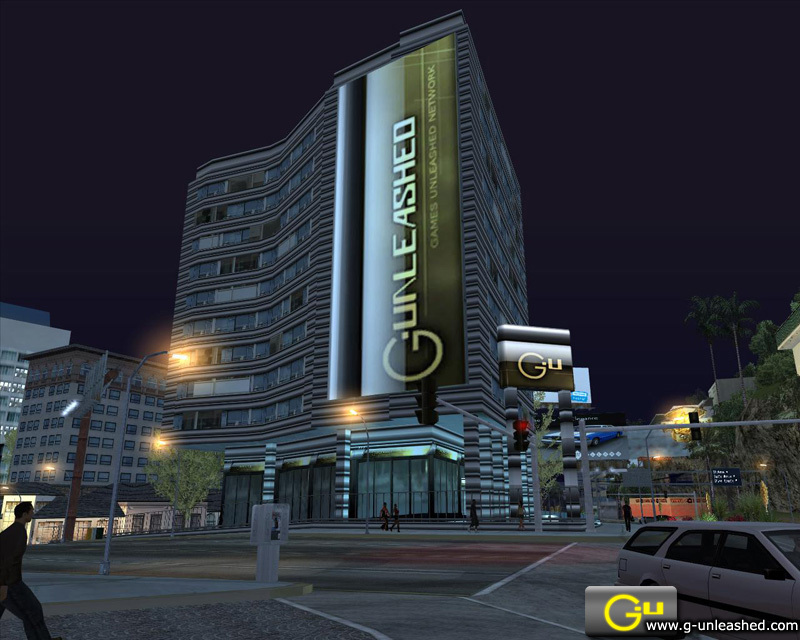 This mod will change a Bank building in Vinewood to a G-Unleashed Headquarters! This mod will change the skin of the Elegy to a G-U inspired paint job. This mod will change the garage in Douroty into a G-U Garage. 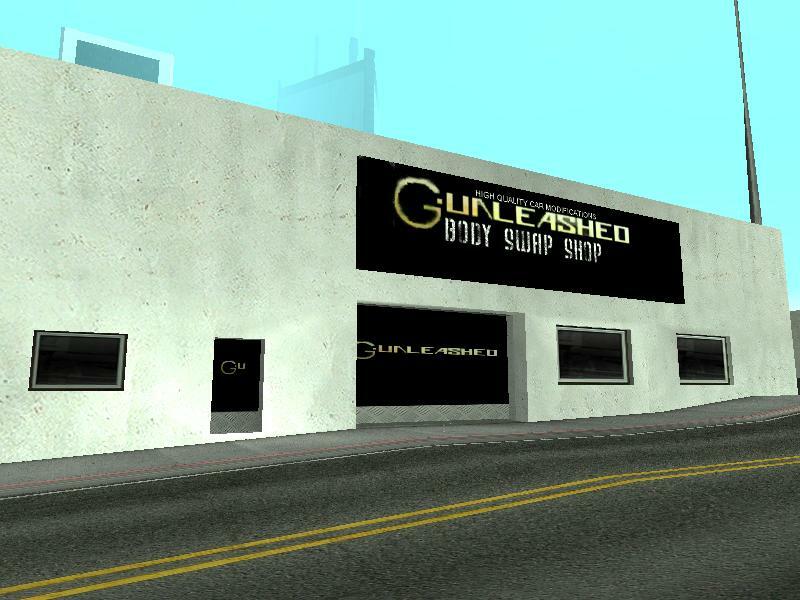 This mod will change the Wang autos building. If you want to mod you haf to to download the IMG tool without this u cant mod and can som1 tell me how to download gta sanandreas. If anyone wants a good game save file http://www.michaelsrpg.com/san_andreas/downloads.html here is one with a long list of completed item's after only the first mission. Grand theft auto should make a San Andreas Stories Because it would be so damn awesome!!! just visit the website http://www.gta-downloads.com/ and download cars, bikes, planes, mods, maps, trainers, skins, tools, vids and anything like that and then just install it with imgtool, txdtool some knowledge and enjoy! what will i do if the download is finished???? ?